Arabian: I changed it an hour ago… C’mon you guys – catch up! Quarter Horse: Put all the bulbs in a pen and tell me which one you want. Standardbred: Oh for Pete’s Sake, give me the damn bulb and let’s be done with it. Shetland: Give it to me. I’ll kill it and we won’t have to worry about it anymore. Warmblood: Is the 2nd Level Instruction Packet in English? Doesn’t anyone realize that I was sold for $75K as a yearling, but only because my hocks are bad, otherwise I would be worth $100K? I am NOT changing lightbulbs. Make the TB get back here and do it. Morgan: Me! Me! Me! Pleeease let me! I wanna do it! I’m gonna do it! I know how, really I do! Just watch! I’ll rewire the barn after, too. 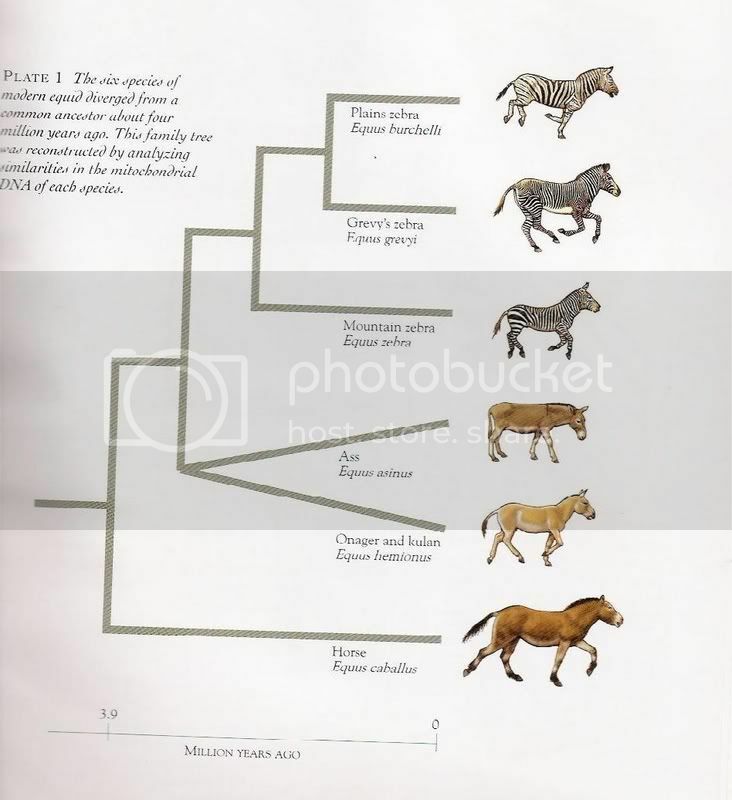 Appaloosa: Ya’ll are a bunch of losers. We don’t need to change the lightbulb, I ain’t scared of the dark. And someone make that damn Morgan stop jumping up and down before I double barrel him. Haflinger: That thing I ate was a lightbulb? 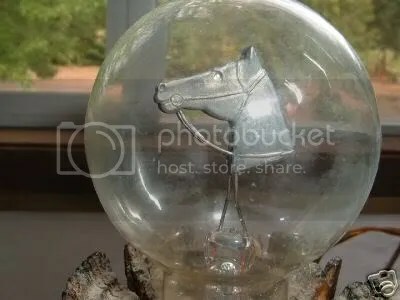 Mustang: Lightbulb? Let’s go on a trail ride, instead. And camp. Out in the open like REAL horses. Lipizzaner: Hah, amateurs. I will change the lightbulb. Not only that, but I will do it while standing on my hind legs and balancing it on my nose, after which I will perform seven flying lead changes in a row and a capriole. Can you do that? Huh? Huh? Didn’t think so. Akhal Teke: I will only change it if it’s my owner’s lightbulb and no one else has ever touched it. Andalusian: I will delegate the changing of the lightbulb to my personal groom after he finishes shampooing my mane and cleaning my saddle, but only on the condition that it is changed for a soft blue or green bulb, which reflects better off my coat while I exhibit my astonishing gaits. Saddlebred: My ears are up already, please please get the lightbulb away from me! I’m ready to show, really, I promise I’ll win! Paint: Put all the lightbulbs in a pen, tell me which one you want, and my owner will bet you twenty bucks I can get it before the quarter horse. Marvelous! Did you write this? It’s really clever. Somehow that is astonishingly accurate. Found your blog via I Gallop On – it’s great, and I’ll be back. Very accurate. Not to pick favorites…………..oh okay, I will. The Haflinger is my favorite! I didn’t blow my coffee through my nose until I got to the Shetland one. So true. lol this is sooo cute! My friend showed me this. And I’m so glad she did!